One of France’s finest collections of old masters can be found in Ajaccio, Corsica, in the Palais Fesch. The museum is named after its benefactor, Napoleon’s uncle Joseph Fesch, a good-natured luxury-lover who used his takings from Napoleon’s stint in power to amass a huge amount of paintings. Thanks to Napoleon, Fesch was also a cardinal in the Catholic Church. He got caught in the struggle between Napoleon and Pope Pius VII, and tried to soften Napoleon’s policy towards the church. Joseph Fesch was born in Ajaccio on January 3, 1763. His father, Franz Fesch, was a lieutenant in a Swiss regiment that formed part of a French force serving in Corsica, under arrangements with the Republic of Genoa (Corsica was then part of Genoa). His mother, Angela Pietrasanta, was the widow of Giovanni Ramolino and the mother of Letizia Ramolino. In 1764, Letizia married Charles Bonaparte and went on to give birth to Napoleon and his siblings (see Napoleon’s family tree). In 1765, Franz and Angela had a second child, a daughter named Paola Brigida, who may have married a compatriot of her father named Bürkly in Basel, or – more likely – died in infancy. She does not feature in the Napoleonic literature. “Uncle Fesch,” on the other hand, – only six years older than Napoleon – was very much a part of Letizia’s household. He entered the seminary of Aix-en-Provence in 1781, was ordained as a priest in 1785, and became the archdeacon of Ajaccio cathedral at age 24. When Napoleon was given command of the French Army of Italy, he found Fesch a post as a commissary. Basically Fesch was involved in contracting the army’s supplies, a role in which he turned a tidy profit for himself. Fesch’s fortunes continued to rise when Napoleon became First Consul. 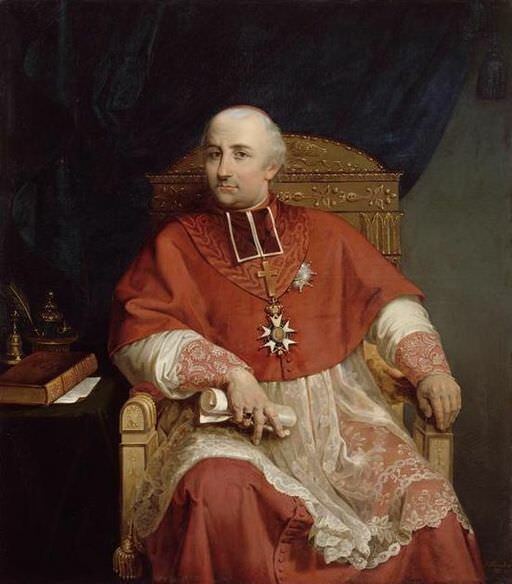 Fesch returned to the cloth and helped Napoleon and Pope Pius VII negotiate the Concordat of 1801, which reestablished the Catholic Church in France. As a reward, in 1802 he was made Archbishop of Lyon. The following year he became Cardinal Fesch. Napoleon sent the new cardinal to Rome as France’s ambassador to the Holy See. Assisting Fesch as secretary of the legation was the writer/diplomat François-René de Chateaubriand, who soon quarreled with his boss and wrote an imprudent memo to Napoleon accusing Fesch of incapacity, parsimony and (almost) treason. 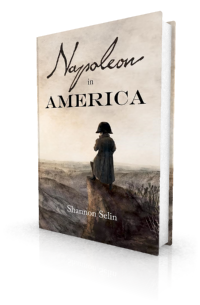 Napoleon remained loyal to his uncle and booted Chateaubriand to Switzerland. Fesch was instrumental in convincing the reluctant Pope to officiate at Napoleon’s imperial coronation at Notre Dame on December 2, 1804. Napoleon rewarded him with the grand cordon of the Legion of Honour, the title and 40,000 franc salary of Grand Almoner of the Empire, and a seat in the French senate. In late 1805-early 1806 relations between Napoleon and the Pope deteriorated. They clashed over a range of political and religious issues. Their competing positions are nicely summed up in this exchange. In May 1806 Napoleon recalled Fesch from Rome. In 1808 he made several papal provinces part of his puppet Kingdom of Italy. In 1809, he annexed the remainder of the Papal States to the French Empire, leaving the Pope only his palaces. In response, Pius VII excommunicated Napoleon. Acting on his own initiative, an ambitious French general (Étienne Radet) kidnapped the Pope. Napoleon was furious, but decided not to release the Holy Father. He kept him under house arrest first in Savona, then at Fontainebleau. Pius VII did not return to Rome until May 1814, when the Allied forces freed him. For details of this downward spiral, see the article by Peter Hicks entitled “Napoleon and the Pope: From the Concordat to the Excommunication” on Napoleon.org. Opposed to Napoleon’s imprisonment of the Pope, Fesch in 1809 refused to accept the archbishopric of Paris. In 1811, he opened a council of the Gallican (French national) church with a declaration of fidelity to the papacy. Napoleon forced him to retire to Lyon. During Napoleon’s first abdication (1814), Cardinal Fesch went to Rome. When Napoleon escaped from Elba for the Hundred Days, Fesch returned to France and resumed his duties at Lyon. Upon Napoleon’s final abdication (1815), Fesch returned to Rome. He lived at the Palazzo Falconieri. Letizia lived with him until 1818, when she moved to the Palazzo Rinuccini, where you’ll find Fesch dozing in Napoleon in America. Earlier, the same visitor had observed the cardinal at a service at which the Pope officiated. Unlike most of Napoleon’s relatives, Fesch gives the impression of being a jolly fellow. Though Fesch never again set foot in France, he remained archbishop of Lyon because the Pope would not comply with French demands that he be deposed. He donated generously to charities in Lyon. Cardinal Fesch participated in the papal conclaves of 1823 (which elected Pope Leo XII), 1829 (Pope Pius VIII) and 1830-31 (Pope Gregory XVI). In later years, his piety gave way to a mysticism that came close to superstition. It is said he went barefoot in the dust at the head of processions of penitents. As described in my post about Napoleon’s mother, Fesch was easy prey for the Austrian mystic who convinced him and Letizia that Napoleon had been spirited off St. Helena. Cardinal Joseph Fesch died on May 13, 1839 in Rome, at the age of 76. In addition to leaving a large number of his paintings to Ajaccio, he bequeathed part of his collection to the city of Lyon. R.F. Delderfield, The Golden Millstones: Napoleon’s brothers and sisters (New York, 1964), p. 22. D.A. Bingham, A Selection from the Letters and Despatches of the First Napoleon, Vol. II (London, 1884), p. 216. C.S. Phillips, The Church in France, 1789-1848: A Study in Revival (New York, 1929), p. 88. Louis Antoine Fauvelet de Bourrienne, Private Memoirs of Napoleon Bonaparte, Vol. II (Philadelphia, 1831), p. 338. Louis Étienne Saint-Denis, Napoleon from the Tuileries to St. Helena, translated by Frank Hunter Potter (New York and London, 1922), p. 10. Richard Metternich, ed., Memoirs of Prince Metternich, 1773-1815, Vol. 1 (New York, 1881), p. 311. Louis Simond, A Tour in Italy and Sicily (London, 1828), pp. 201-202. The Court and Camp of Bonaparte (New York, 1835), p. 32. The Archdiocese of Cincinnati received 13 paintings from the Fesch collection. 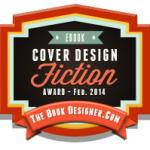 I have tried for years to obtain a list of titles. The archives of the Archdiocese for that period are at Notre Dame University. Research only confirmed that the paintings were shipped from there but there was no “packing list.” Some of the paintings’ titles are known, like St Peter in Chains, after which the Cathedral was named, but other are not. The Archdiocese of Baltimore received a similar donation but do have the names of all of the paintings. Do you know if there is such a things as the Fesch archives? How wonderful that some of Cardinal Fesch’s magnificent collection wound up in North America. I don’t know whether there’s a centralized Fesch archives. The Musée Fesch is probably the best place to contact: http://www.napoleon.org/en/magazine/places/musee-fesch-ajaccio/. There’s reference online to Fesch papers in the archives of the department of Rhône (https://books.google.ca/books/about/Les_Papiers_du_cardinal_Fesch_aux_Archiv.html?id=MstfmgEACAAJ&redir_esc=y), and to some of his letters in the National Archives of France (http://www.archives-nationales.culture.gouv.fr/). There is also a three-volume catalogue of paintings offered for sale from the Fesch collection in 1845: https://archive.org/search.php?query=Catalogue%20des%20tableaux%20de%20la%20galerie%20de%20feu%20S.E.%20Le%20Cardinal%20Fesch. If the Archdiocese received its paintings after that, you could see if any of the items in your collection are listed there. Good luck with your search! Thanks for your reply. The paintings were received in 1823. You have given me great leads. You’re most welcome. I hope the Musée Fesch can help. I discovered vestments in a Sydney Australia parish long said to have belonged to Cardinal Fesch. Does anyone know if he traveled to Sydney or donated vestments to this once convict outpost? Any thoughts as to how they made their way over to Sydney? That’s interesting, Paul. I’m pretty sure Cardinal Fesch never travelled to Australia. I don’t know whether he donated vestments, or if the vestments reached Sydney thanks to someone who inherited or otherwise acquired them after Fesch’s death. Perhaps another reader knows and can post the answer. I believe that I can provide a list of the Fesch paintings (approx. 11 in number) received by the Baltimore Cathedral. They are no longer there, but in museums and private holdings throughout the U.S. One or two were destroyed. Thanks, Terry. It would be great if you could please post the list here. I’m sure Rev. Armstrong and other readers would appreciate it. Cardinal Fesch was a curious compound of bigotry and ambition. A sincere devotee, he yet was not far from believing Napoleon to be an instrument of heaven and a being almost supernatural.